If you are self-employed, you do not have money withheld from your income before you receive it. Instead, you receive all of your money and are responsible for making sure that you pay what you owe the government throughout the year, with what is called estimated tax payments. Some self-employed individuals feel as though they do not have to pay taxes. This, however, is a myth and can cause them a lot of trouble. Therefore, today we are explaining how self-employment and taxes work. People who are classified as self-employed are usually labeled as a sole proprietor or independent contractor. They may be a part of a partnership or run a business for themselves, even if it is just part time. 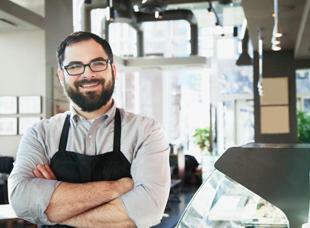 Our Seattle CPA client base proudly consists of many self-employed small business owners, we put together the Self-Employed Tax Guide to offer up more information and tax advice on this topic. Give it a read! Self-employed people normally do not receive income tax refunds unless they overpay in estimated tax payments. Instead, they owe money to the IRS and usually the tax form that they receive is a 1040 instead of a W-2. Not all self-employed individuals will receive 1040s. In the event that this happens, they still have to file taxes, which is why it is important for self-employed individuals to keep excellent records when it comes to their income and expenses. Self-employed individuals still qualify for deductions and credits if they meet the IRS guidelines too. If a self-employed person generates more than $400 in one year, they are required to file taxes. Additionally, if they make less than $400 but meet the other tax filing requirements they are still expected to file their taxes. If you are self-employed and need more details, go to the IRS Official website for more information on how self-employment and taxes work. Remember we are a Redmond CPA firm!